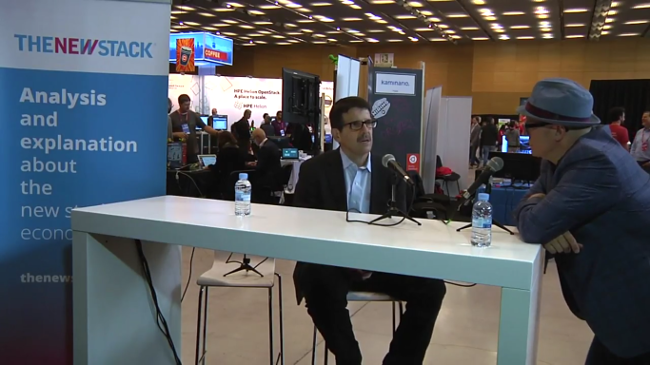 On today’s episode of The New Stack Makers, HPE Vice President of Cloud Services Tom Norton sat down with TNS founder Alex Williams during OpenStack Summit Barcelona to discuss how HPE is helping its customers make the most of not only the HPE Helion platform’s offerings but OpenStack technologies as well. “There’s a progression into containers and microservices now. Docker as a container on top of another platform is where we see it most often. If you wanted to, instead of building a VM, what we see now is people packaging applications in a container, then adding that container to a container registry so they can use it in various different environments,” said Norton. HPE Helion, a portfolio of cloud products and solutions, makes it easier to build, manage and consume a hybrid IT environment. Based on OpenStack and Cloud Foundry technologies, HPE Helion combines the benefits and agility of cloud computing with the rapid innovation and interoperability of open source. Visit us at HPE Helion and Twitter. HPE’s OpenStack Stackato services platform allows for developers to work with open APIs. “What customers need help on is bringing their workloads to OpenStack, and blending their microservices and containers with OpenStack,” Norton said. “We will come in and work on integrated elements, introduce more complex approaches. We ease into local partners so they supply infrastructure as a service, and then we extend what they can do to a regional or even a global team,” said Norton.